Hello Everyone! I'm Parie from classandglitter and I blog all about beauty,fashion and lifestyle this includes sharing my tips and tricks and talking about my favourite drugstore buys! I also love cooking and being a vegetarian I like to share my recipes with you all so you can enjoy something that is also super healthy! I hope to see you all on my blog and be sure to follow me on twitter and instagram where I post a lot of pictures of food and coffee! My name is Isabella, I am 19 years young, with a deep love for fashion, beauty and all things ‘life’ related. I’m completely obsessed with social media, King Charles cavalier spaniels and coffee. Back in 2012, after gorging myself in various other beauty blogs, trying to keep up with the ‘latest’ thing, I decided to join in the club and after various blog names ‘beautyflutters’ was born. I like to write about things I’ve purchased, or would recommend, things I don’t like, however I do like to delve in the fashion area, as well as lifestyle. Usually you will find me either on my laptop, phone or delving in to a new script, book or magazine. You’ll recognize me from over sized jumpers, monochrome outfits, leather jackets, hair in a bun and anything rose gold. I hope you come and say hi! Bonjour Darlings! My name is Jordyn and I blog over at The Fairy Princess Diaries. A self proclaimed girly-girl and advocate of all things whimsical my blog is often discovered using google search terms such as "sparkling daisy fairy" and "Girls who like Taylor Swift a little too much". I write about fashion, dating and the deeper meaning behind any and all Taylor Swift lyrics in an attempt to document the magic & enchantment of everyday life. Come say hello! Hey everyone, I’m Phil from All Things Manchester. I blog about Manchester’s events, places to go, entertainment, city living, nights out, food and drink, student offers, and basically anything you can think of to do with Manchester. I like to keep things fresh so I blog as much as possible and am really active on my social media accounts. 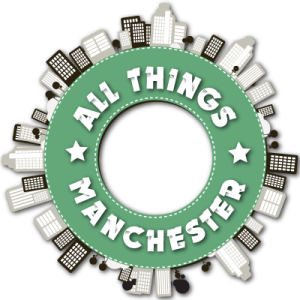 Feel free to head on over and engage with what’s going on at All Things Manchester. Hi! I'm Sarah, the face behind The Prosecco Diaries. This is a London lifestyle blog where I explore creative things to see and do in London. I also review health and beauty, and write about anything that's on my mind in my 'And Another Thing' section. I attend several events a week and I'm always trying new things, so I wanted to let people know what London is like as a blogger in my 'Blogger Events' section. I also organise blogger events on behalf of brands, and you can see some of those in that section too. This is not a lame attempt to get you to visit my blog, but in my 'About' section I have a brilliant custom-made illustration that tells you all about me, why I started blogging and how my blogging career has evolved to me becoming a full time professional blogger. Charee is a site where women (four to be precise)speak openly about all the things that matters to the modern day women. We cover beauty, fashion and lifestyle posts sharing stories, opinions and experiences. This is the ideal girl (women as we like to think of ourselves) talk site where no secrets are kept. We ramble, we advice (or try to), we share stories, sometimes we are happy, sometimes we are crying (whilst writing) and sometimes just really angry at the world. We are no experts and definitely not cool, well except Jannette who is a qualified beauty therapist. But for the rest of us we are just women, young women that have a lot of things to say about everything. We aim to provide relatable stories for women to read, none of that extra jazz stuff just pure realness. We all come from different parts of England, from different backgrounds and experiences but one thing we have in common is we love being a female. Our fashion section shares Jannette’s ramblings about fashion. Everyone’s favourite section beauty is where we have all the fun trying and sharing our favourite products and beauty experiences. Lifestyle, basically anything goes. As long as we have experienced we write and that is our little motto. So check us out… pretty please. Make sure you go and check these guys out - they're all fab! Have taken a look at the blogs you've recommended, great choices, I have followed a few of them! It would mean the world if you could follow my blog.. it's only a few weeks old and some feedback would really be appreciated!